Meeting infrastructure demand – who will pay and how? 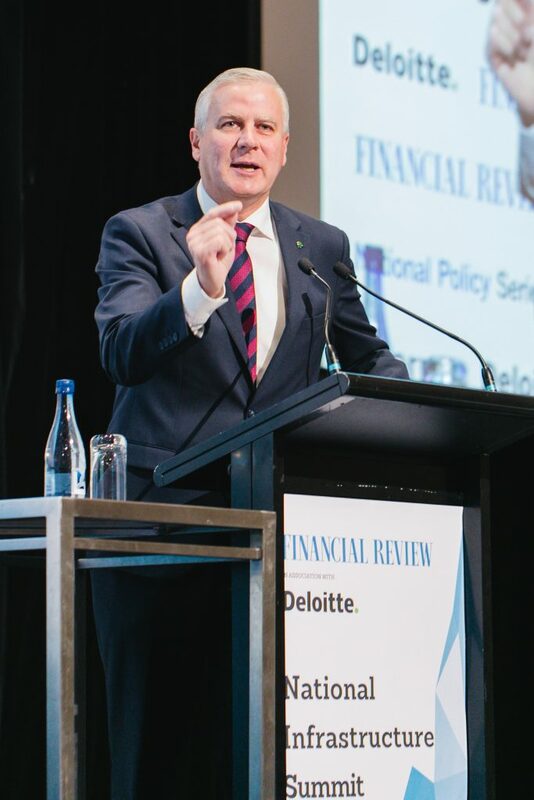 The private sector has a big part to play in helping Australia catch up with infrastructure demand, says Michael McCormack; who presented at the AFR National Infrastructure Summit last week. In association with Deloitte, the Summit challenged state leaders on their varying approaches to paying for infrastructure; and explored the latest funding and delivery models that are being trialed globally. The Deputy PM and Infrastructure Minister backed the use of public private partnerships (PPP) and value capture models to alleviate pressure on government budgets. Asset recycling, a model which has been trialed with great success in NSW, was also discussed as a means of getting private money into the public works of other states, particularly QLD who have been hesitant to adopt this approach until now. But, Shadow Minister Anthony Albanese said that exchequer support remained vital for seeing large scale infrastructure projects through to operation. He said that projects such as Melbourne’s rail link would not be able to happen without government funding. Similarly, Deloitte’s Global Financial Advisory Government & Public Services Leader, Michael Flynn, argued for the use of various government-supported models, including co-funding; which serve to both entice private interest in riskier projects and fill in the gaps for projects where less private capital is available. Other experts argued that private sector financing was only suitable for redeveloping existing assets, given the lower risk profile and more timely returns. For new infrastructure projects, with longer term investment horizons, government funding was likely the only reasonable approach. For roads, a greater reliance on user-pay models was McCormack’s preferred choice above fuel excise tax, which fails to take into account the increasing use of hybrid and electric cars – meaning that not all road-users are ‘captured’. But BCA Chief Executive, Jennifer Westacott, disagreed with this approach: “The problem with the tolling system is that the last beneficiary, who has often had the most impact of congestion, has to pay – and that’s a fairness issue that we’re not willing to talk about”. Meanwhile, Infrastructure Australia Chair, Julieanne Alroe, encouraged greater privatization in roads, as well as other infrastructure assets like rail, energy and water. An audience of more than 300 high profile delegates turned out for the Summit, which heard insights from Australia’s chief infrastructure policy makers and industry leaders. To receive the program for the 2019 summit, register your interest here. PPP evolution – where to now?